Nawaz Alamgir is a Freelance Art Director currently working with Framestore in London. 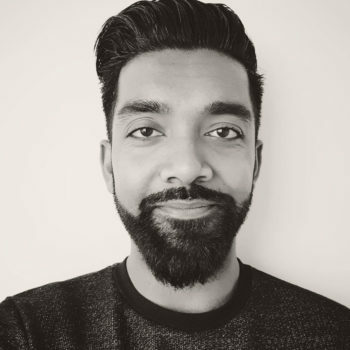 He has over 10 years experience working in film, video game and television advertising and has collaborated with a range of high profile clients and worked with big brands creating graphics for numerous feature film trailers, TV spots and title sequences. He has worked with many film and advertising agencies in London and is currently working on a TV project Art Directing and designing futuristic screen graphics as well as working on various title sequences and commercials.